Could This Be A Leaked Photo Of An iPad 3’s Retina Display? This is the time of the year when we sit pretty much in the middle of when the current version of the iPad was released and when the industry expects the next generation device to be launched. With that in mind, it should come as no surprise that the rumor mill is working on overtime with alleged leaked information, images and specifications popping up all over the web. So far we have been treated to rumors claiming that Apple will launch not one, but two new iPads in 2012 with both the standard 9.7 inch model and an additional 7.85 inch version. 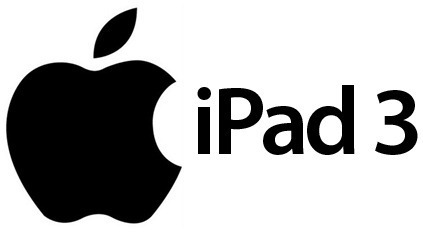 We have also heard reports from a Taiwanese news source claiming that Apple will launch the iPad 3 with the inclusion of a high resolution Retina Display. As if that wasn’t enough, the rumor mill has also dug deep into the stores to inform us of a possible launch of the iPad 3 in February 2012 to celebrate the birth of the late Steve Jobs. As we have come to expect by now, some of the rumors may have merit, some are downright ludicrous and others are born out of common sense more than any hard physical evidence. Perhaps one of the more believable and reputable whispers surrounding the next iPad is the possible inclusion of the much loved Retina Display. Some people actually expected the iPad 2 to include the Retina Display considering it had been present in the iPhone 4 for nine months prior to the launch in March 2011. 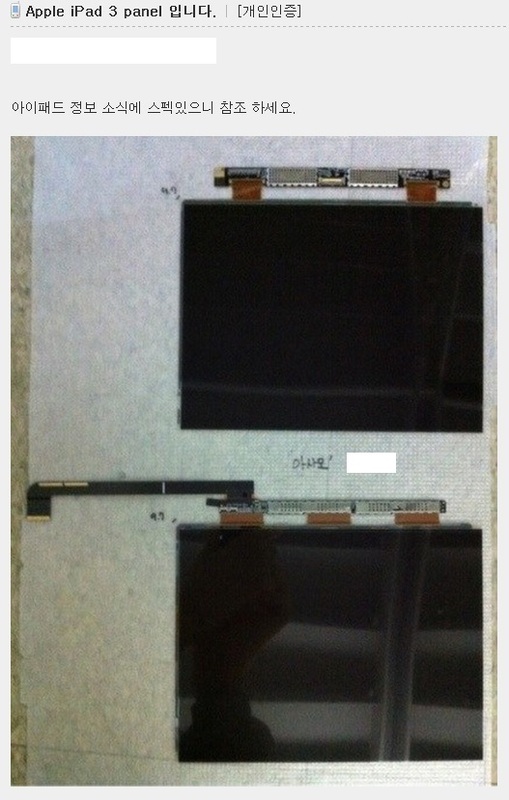 A recent article featured on MacRumors has added fuel to the Retina speculation with some leaked images of what they believe to be an iPad 3 Retina Display (above) being posted onto a Korean technology forum. The posted photographs clearly show two different, 9.7 inch displays lined up head to toe with the top image supposedly being from the current production model of the iPad. Online repair specialists iFixit have provided a photograph showing the inner workings of the current iPad display which seems to confirm the suspicions that the top image is from the current model. The second image looks almost identical, apart from the fact that the wire configuration which is emanating from the screen is different. The images appear to show the addition of an extra data ribbon cable which would make sense considering the higher resolution and increased data bandwidth required. So what are you thoughts on the subject? Could this image be a genuine photograph of the new IGZO displays that Apple are rumored to be using to achieve higher resolutions with lower power requirements?